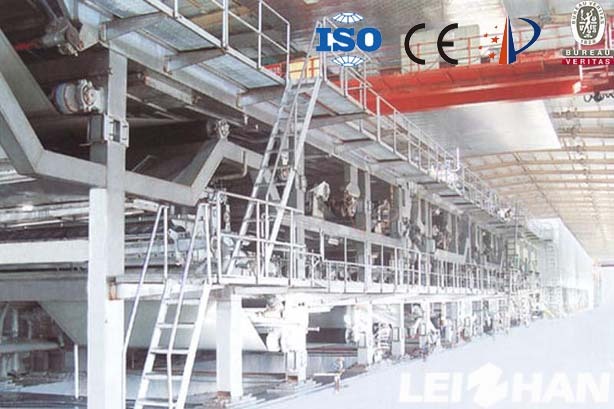 The mixture pulp mixed with white water diluted into suitable concentration and flow for papermaking , and after the process of purified, screening and degassing flow to the headbox. Mainly include the headbox, pulse decay tank, cone-shaped cleaner, punching pump, pressure screen, dilution water device, pulp pipe, pulp pool and related ancillary equipment and other components. Pressure screen: Headbox pretreatment equipment is a Iflow pressure screen, slot screen gap is generally 0.2-0.4mm. Commonly used is 0.35mm. The role of pressure sieves is to protect paper machine equipment and wire. Headbox: Make the pulp pumped by pump evenly distributed in the paper machine banners with uniform speed, concentration, and pressure. And the wire pulp is fed to the most suitable position to the forming section at the most appropriate angle. Effectively disperse the fiber, to prevent fiber flocculation.